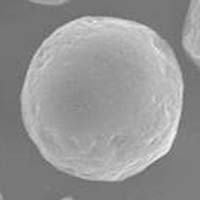 Microspheres are discrete spherical particles ranging in average particle size from 1 to 40 microns. Because of their size and shape they are able to scatter light to diminish the look of fine lines on the skin, effect also known as "optical blurring" or "soft focus". They also provide a ball bearing effect, which will impart finished products with increased payoff, an elegant silky texture, enhanced slip and better blendability for a more natural finish. Depending on level used, they can provide a non-tacky, velvety or powdery after-feel ("cream-to-powder" texture). They are also used to absorb and deliver oils (porous microspheres such as silicas and silica shells), and as voluminizers for mascaras. Composite materials associate two or more unlike materials combined to produce unique physicochemical characteristics. MSP-AK06 and MSP-TK04 are composed of a Silicone Resin matrix with dispersed inorganic material (Alumina or Titanium Dioxide respectively); they also have a textured surface. Both characteristics make them excellent choices as feel modifiers and optical blurring particles. Silcrusta MK03 is on the contrary made of a core (Silicone Resin) / shell structure (Methyl Methacrylate Crosspolymer) which, combined with a textured surface also make them excellent for optical blurring and improved feel. Using this core / shell arrangement, it is possible to modify the dispersibility of microspheres: SESQ-MH5 has a polymethylsilsesquioxane core (hydrophobic) and a silica outer layer; this unique structure makes it easy to disperse in water. SESQ-CL3 on the contrary, has a layer composed of PMSQ and PPSQ around a corn starch core, making it hydrophobic. SK-45 and SK-45-R are mica based platelets; a layer of small PMMA particles is used to limit the specular reflection and help developing formulas with radiance and soft focus. 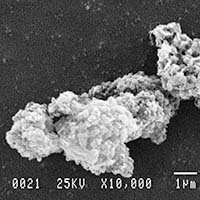 Microsphere Complexes are produced using Kobo's patented technology- Isopropyl Titanium Triisostearate treatment, which bonds two unlike materials to yield a spherical complex that has the best balance of properties possible. By varying the amount of these complexes in formulations, an anhydrous hot pour can go beyond a cream-to-powder to a creamy pressed powder like feel. 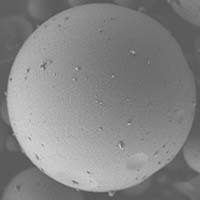 These complexes offer all the benefits of Microspheres and can also bring a lightweight feel to many other product forms. KoboBlur™ 100 Natural is a powder complex made only of minerals and natural ingredients, using no plastic particles; the ingredients of this complex have complimentary refractive indexes and scatter light in a wide range of formulas.